FC Barcelona manager LuisEnriqueMartínez held the team’s final training session Friday afternoon at the Ciutat Esportiva, after which he announced the squad that will travel south to Valencia later in the evening ahead of Saturday’s match at the Mestalla. The coach, who appeared before the press prior to the afternoon workout, had to deal with a pair of last-minute changes, as midfielders Arda Turan (left elbow bruise) and Rafinha (bruised ribs) fell out of the running for this weekend’s squad. In addition, the team will be without defenders Gerard Piqué (ankle) and Jordi Alba (hamstring) — who were injured in Barça’s 4–0 rout of Manchester City on Wednesday night in the UEFA Champions League (Match Report, Highlights) — as well as the injured goalkeeper Jasper Cillessen (ankle). All that left Luis Enrique with limited options, with the final list consisting of the 17 available first team players, plus the Barça B player, CarlesAleñá. Also joining this weekend’s list are Sergi Roberto, Denis Suárez and Aleix Vidal. Ter Stegen, Masip, Rakitic, Sergio, Denis Suárez, Iniesta, Suárez, Messi, Neymar Jr, Rafinha, Mascherano, Paco Alcácer, Digne, Sergi Roberto, André Gomes, Aleix Vidal, Umtiti, Mathieu and Aleñá. The team’s second and final training session in preparation for the Valencia match was held, as always, at the Ciutat Esportiva, the team’s training centre in Sant Joan Despí, located just outside of Barcelona. Under-19 player IñakiPeña joined the first-team in the workout. The team left El Prat airport at 7.50pm CET and landed in Valencia at 8.25pm CET ahead of Saturday's game at Mestalla at 4.15pm CET. 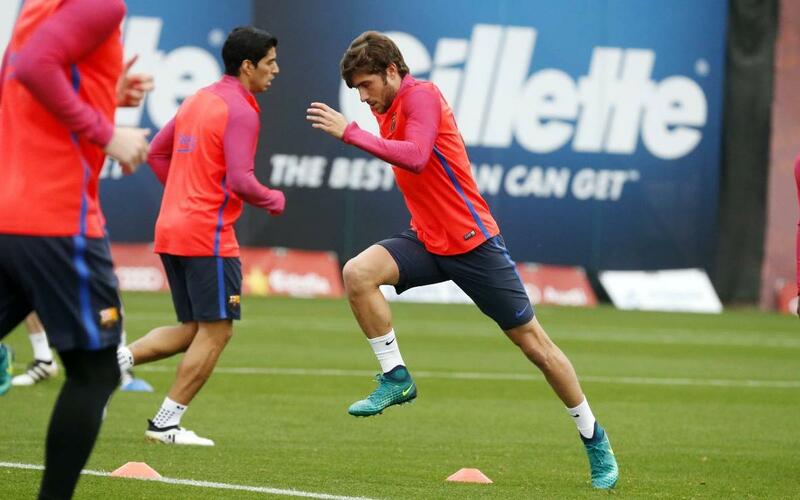 The squad travelled with vicepresident Jordi Mestre and directors Josep Ramon Vidal-Abarca and Pau Vilanova. Barça will fly home on Saturday after the match has been played.